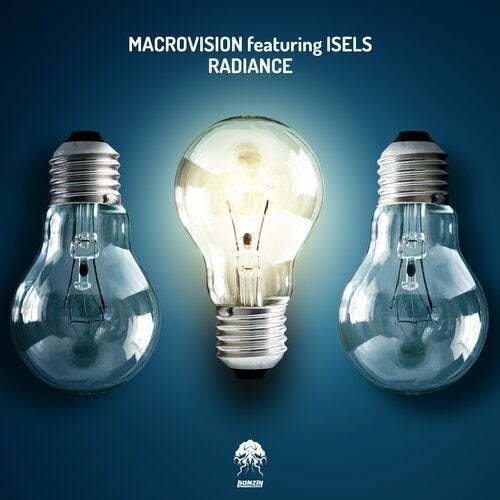 Ukrainian DJ and producer Ruslan Haievyk aka MacroVision joins forces with fellow countrymen Isels on the superb Radiance. MacroVision is returning after his last effort Skyroom, while the Isels duo are debuting here. Ruslan's love for electronic music started with The Prodigy which got him hooked. He also likes soft and powerful sounds with melodic parts. He has seen releases on several labels from across the northern hemisphere and he has won a number of music-based competitions in the last several years. His music has seen airplay on many radio stations including Kiss FM, DJFM, DFM and BBC Radio and his DJ sets are known to bring an energy to the floor and for being immersive and dynamic. Isels have carved out a solid reputation on the scene for their quality sounds. They've seen several releases on Dbeatzion Records among others and it's great to have them on board here. Radiance is a beautifully arranged, lush progressive house groover. Right from the off we're lured into the groove thanks to a warming layered bass filled with deep tones and a chugging upfront sequence. Hypnotic arpeggios fade in, complimenting the bassline, making for an epic experience. A truly inspiring effort from the guys here, they've delivered a deep and wondrous cut with memorable motifs and emotion that will resonate for years to come. Up next we have MacroVision's remix of Isels' To Be Creative which is a solid dancefloor mover with deep housey grooves taking centre stage. A playful bassline dances over the track as cool stabs deliver that house vibe alongside rich, airy pads. The stabs come to prominence on the break as the filters are opened before that tight beat and subby bass combo returns for the duration. A fantastic slice that will not disappoint.